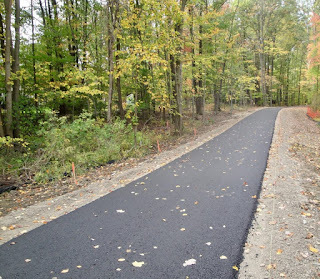 The Valley Parkway Connector Trail Phase II project will extend the existing all purpose trail in Cleveland Metroparks Brecksville Reservation along Valley Parkway from Broadview Road to Ridge Road in the Cities of Broadview Heights and North Royalton. Phase I of the Connector Trail, between Brecksville Road and Broadview Road, will open this summer. Plans and comment cards will be available at the meeting. Please attend if you can to show your support for expanded bicycling facilities!